Today, the unstoppable electronic-pop duo Bob Moses premiered the official video for their wildly popular and infectious new track “Tearing Me Up.” The track is taken from their critically acclaimed debut album Days Gone By (out now on Domino). The video was directed by Zack Spiger, was shot in Paris, and premiered today on VEVO. This summer and fall, Bob Moses (a.k.a Jimmy Vallance and Tom Howie) have been trotting the globe, headlining sold out shows across North America including New York City’s Bowery Ballroom, as well as performing live to tens of thousands of festival goers at Treasure Island, EDC, Tomorrowland, Burning Man, Decibel Festival and Symbiosis Festival. Their debut album “Days Gone By” is available in stores nationwide and on iTunes, Apple Music, Spotify, Amazon and all other digital platforms now. Be sure to catch Bob Moses on one of the last remaining North American tour dates below. Here’s the official videdo for “Too Much Is Never Enough“, taken from ‘Days Gone By,’ the debut album from Bob Moses, out September 18th on Domino. Directed by Libby Burke Wilde. Preorder the limited heavyweight “silver” vinyl edition with two downloadable bonus tracks here: http://po.st/DaysGoneByDM. Preorder on iTunes here: http://po.st/DaysGoneByDL. Tour Dates and Buy Tickets here: http://po.st/BobMosesSK. 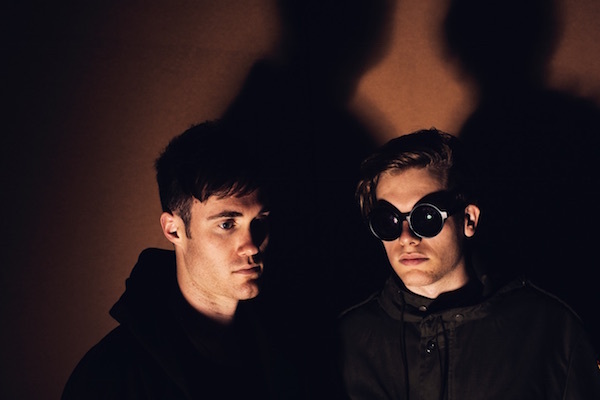 Ahead of the release of their debut album “Days Gone By”, Bob Moses announced details of their brand new single “Too Much Is Never Enough” today. The single is due for release alongside the album on September 18th on Domino. Having premiered Sunday on Pharrell Williams’ Apple Beats 1 radio show OTHERtone, “Too Much Is Never Enough” sits at the heart of the Canadian duo’s upcoming album. Following in the footsteps of earlier critically acclaimed single “Talk,” the new single demonstrates the bands unique ability to combine guitar lead songwriting and stirring electronic production to mesmerizing effect. Listen to “Too Much Is Never Enough” below. Download the track on iTunes here. Currently on tour across the globe, Bob Moses recently played a sold out headlining show at Output in Brooklyn, NY and were second headliners at a sold out show at MoMA’s PS1. This month they will be making appearances at Osheaga Festival in Montreal and Symbiosis Festival in California. This fall the duo will be returning to North America for a full headlining tour. For a full list of dates, see below. 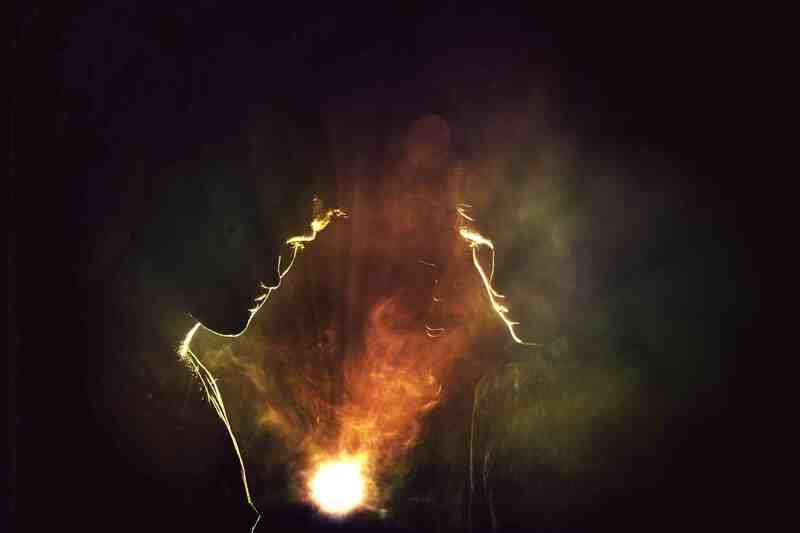 Canadian duo Bob Moses today announced that they’ll be releasing their debut album “Days Gone By” via Domino on September 18th, 2015. The highly anticipated full-length debut will feature 10 original tracks, including their current and critically acclaimed single “Talk.” To accompany the announcement of their album “Days Gone By” and upcoming North American tour, the duo also premiered their official video to “Talk.” The video was shot in Sweden and directed by Andreas Arvidsson and Robin Asselmeyer. Just in time for their album release, the band will embark on a 25-date North American tour that starts at Symbiosis Festival in California and will make stops in New York, Seattle, Boston, Chicago, San Francisco, Texas and Florida amongst many other cities. Tickets go on-sale June 30th and will be available to purchase via www.bobmosesmusic.com. Recently, Bob Moses announced a handful of summer dates including a headlining show at Brooklyn’s Output that sold out in a matter of hours. The duo will also be making appearances MoMA’s PS1 on August 1st and Osheaga Festival on August 2nd and Decibel Festival in September. Occupying the fertile ground between organic band land and an all-electronic production project, Bob Moses draw on the two poles to vividly resonate across both. A duo with an individual name, Tom Howie and Jimmy Vallance’s musical endeavor plays with this kind of duality all over their impressive debut album. Alternating between brooding dance-floor burners and moments of reflective, downbeat repose, “Days Gone By” is a record that’s not in a rush to get to its destination, preferring to subtly, slowly seduce rather than sway and swagger into submission, weaving a rich spectrum of sensation over the course of its twelve tracks. A Domino Mart exclusive, limited edition of “Days Gone By” is available for pre-order here, featuring silver vinyl and a download code with two additional two bonus tracks. Be sure to catch the trailblazing duo live on the following tour dates this Summer and Fall. Since Bob Moses’ stellar performances in-front of thousands of fans at Mysteryland, Movement and Lightning In A Bottle Festivals last month, the critically acclaimed duo has now confirmed they will be performing live at MoMA PS1 on August 1st as part of their summer Warm Up series, as well an already-sold-out headlining roof-top show at Brooklyn’s Output Club on Friday, July 31st. Bob Moses — comprised of Tom Howie and Jimmy Vallance — grew out of the underground electronic dance scene, playing in abandoned Brooklyn warehouses and as part of the Marcy Hotel collective alongside the likes of Soul Clap, Wolf + Lamb and Nicolas Jaar. New York-via-Canada duo of Jimmy Vallance and Tom Howie aka Bob Moses have shared the video for their great track “I Ain’t Gonna Be The First To Cry”, a rework of a 1974 Bobby Bland song. The band have also released the album “All In All”, combining their 2 previous EP releases on Scissor & Thread, and the recent A/B side on Domino, I Ain’t Gonna Be The First To Cry / Grace. Buy it here. Video directed by Gene Doe. 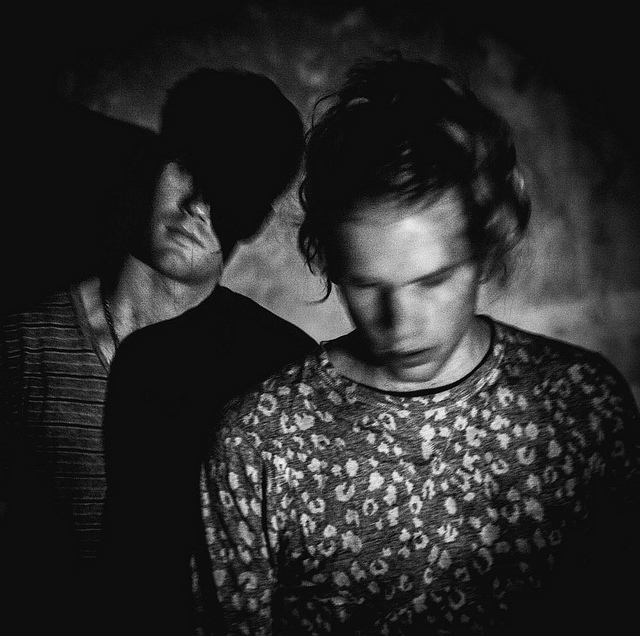 Following their Bobby Bland cover “I Ain’t Gonna Be The First To Cry”, New York-based Canadian production duo Bob Moses (aka Jimmy Vallance and Tom Howie) have just shared the second track from their debut “First To Cry” EP for Domino. Below, you can stream the beautiful late-night track “Grace”, accompanied by an audio-visual clip, created by Studio Joe. Get First To Cry here. 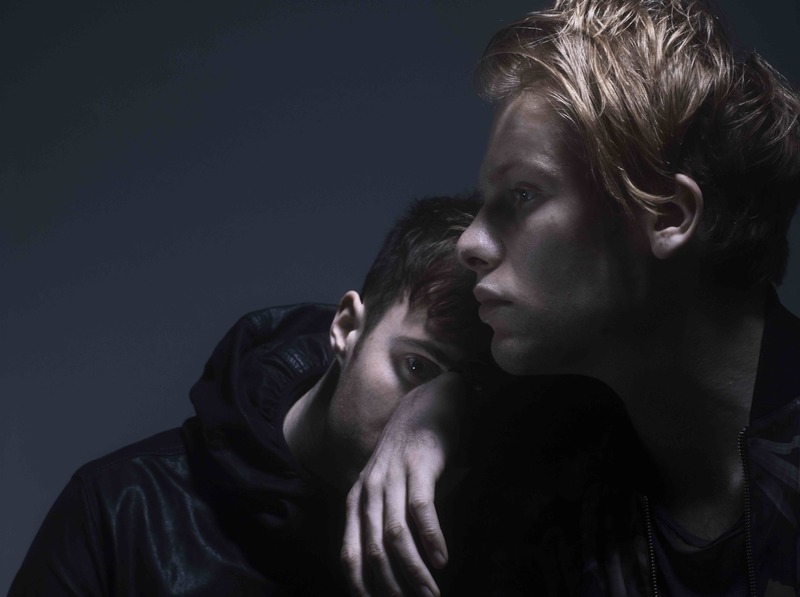 Canadian production duo Bob Moses first formed in Brooklyn back in 2012 and have kept the underground electronic dance scene up late and dancing ever since. Now, signed to Domino Records and with a killer EP up their sleeves, ‘First To Cry’ is set for release on June 17th 2014 (in North America). The lead single from the EP titled ‘I Ain’t Gonna Be The First To Cry’ premiered today and will be available for download when you pre-order the EP on iTunes. The single is also be available on all digital platforms starting today. ‘First To Cry’ EP will also be available as a limited edition silk-screened 12” vinyl from July 29th (pre-order: http://po.st/FirstToCryDM), and digitally from June 17th (pre-order: http://po.st/FTCiTunes).